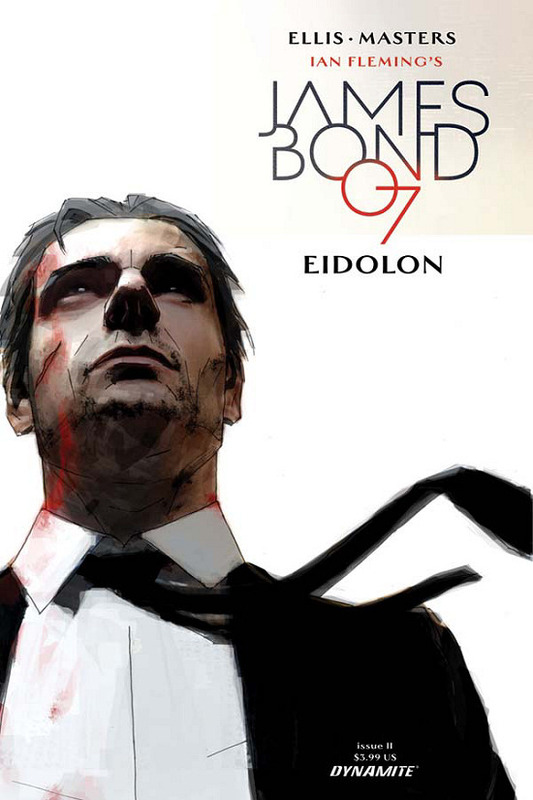 Writer Warren Ellis and artist Jason Masters teamed up for the second original six-part James Bond comic book adventure published by Dynamite Entertainment and Ian Fleming Publications. This latest six-part storyline titled 'Eidolon' was launched back in June and features the return of SPECTRE. 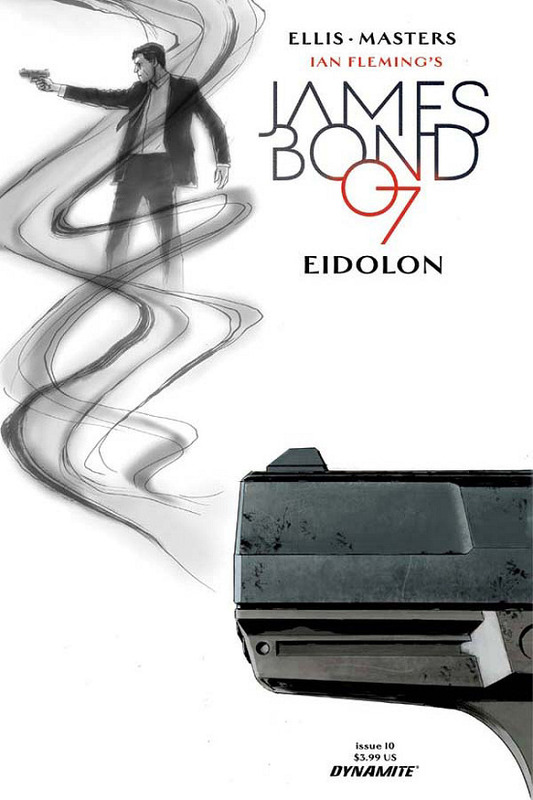 Dynamite are staying true to comic book tradition and so the first issue of 'Eidolon' was 'James Bond #7' in the series, following on from 'VARGR' which was published as issues #1 through #6. The story synopsis and covers for parts four (September) and five (October) of 'Eidolon' have been revealed. MI6 is under attack from both hidden forces and Her Majesty's Government itself. Why do MI5 and Whitehall want MI6 to be unable to defend itself? Where is the terrifying Beckett Hawkwood? What is EIDOLON? Eidolon have M and Moneypenny, in a remote safehouse, with no hope of backup, no aid on the way, and no sign of James Bond. Fear and paranoia and the collapse of governmental structure are in sight. Britain is going back to the Dark Ages and SPECTRE, finally, have won.